The Learning in Afterschool & Summer project is working to promote the use of digital badges through our partnership with Youtopia and Public Profit. Below is a blog authored by Nikki Yamashiro that appeared on the Afterschool Alliance website. We thought it was an excellent explanation of digital badges. 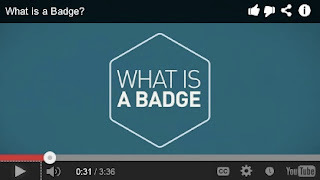 This blog came with a very informative video, which we have posted below, along with a video that we produced with Change Agent Productions concerning digital badges. Enjoy! Through my work at the Afterschool Alliance, I’ve become incredibly familiar with the overwhelming number of benefits kids gain when participating in quality afterschool programs. I’ve read evaluation after evaluation that reports the positive academic, social and emotional outcomes for students attending afterschool programs—from gains in reading and math scores, to school-day teachers reporting a decrease in problem behavior in the classroom, to parents reporting that their child has a better attitude about school. On top of these positive outcomes, students attending afterschool programs are engaging in unique and fun, but challenging, learning experiences. They are developing skills, gaining knowledge and cultivating their interests. Yet, how do they show their school-day teacher, college admissions officer, potential employer, parents and friends the skills and knowledge they’ve acquired? A promising solution: digital badges. First things first: what is a digital badge? This video explains it all. You can view it by clicking here. A new issue brief by the Alliance for Excellent Education and the Mozilla Foundation, “Expanding Education and Workforce Opportunities Through Digital Badges,” explores the potential of digital badges—a digital credential one can earn by completing projects, programs and courses, representing a specific set of skills, interests and achievements—and offers a few examples of how digital badges are currently being used. Badge issuer – the badge issuer creates the competencies or curriculum and assessments that will determine if an individual has developed the skills and knowledge necessary to earn the badge. Examples of badge issuers could include afterschool programs, schools, communities, businesses and institutions. Badge earner – badge earners are people who want to be able to show the competencies they’ve developed to various audiences. An example is a young person who wants to apply to colleges to major in computer science, and earns a badge in app development to add to their college application. Badge consumer – badge consumers are both formal and informal entities that want or are interested in individuals who have the skills and knowledge represented by a digital badge. Examples of badge consumers are colleges, employers, schools and afterschool programs. Portable/stackable – One purpose of digital badges is that they are “open.” The ability of a badge earner to take their digital badge from one issuer to another, and from one consumer to another, allows earners to show multiple achievements, manage their badges and show them in a way that fits their needs. To this end, the Mozilla Foundation has created the “Open Badges” standard that helps create a baseline validation of the badge, allows ease of access to badges for both earners and consumers, and allows for badge interoperability throughout the digital badge ecosystem. Digital badges hold enormous opportunity. They can be used in the school system, in higher education and in the workforce. If you’re interested in learning more about the various ways badges can work in the education and workforce sectors and read examples of current badge programs, be sure to read the issue brief. Also, check out the list on page 10 of the issue brief that links to information regarding work around quality digital badge implementation. Recently, there has been an emphasis in schools on literacy and math. Much of this has been at the expense of play, creativity, and the arts. Many schools are trying to re-introduce these things through expanded learning time. Meanwhile, it is important that we recognize that play and creativity are critical to learning, and preserve these in our out-of-school time programs. Join us at How Kids Learn III as we hear from leading experts in the fields of neuroscience and the new science of learning on the importance of play and creativity. Learn how the Maker Movement is right for afterschool and learn from those who are using innovative learning strategies in their work with children and adolescents. The purpose of this conference series is to expose OST stakeholders to cutting-edge thinking and research, and consider the implications for practice in afterschool and summer programming. We are hopeful that the ideas discussed in this conference will affect your thinking about youth programming as well as your personal life and well-being. This conference is intended for youth program leaders, educators, technical assistance providers, funders, and all afterschool stakeholders. 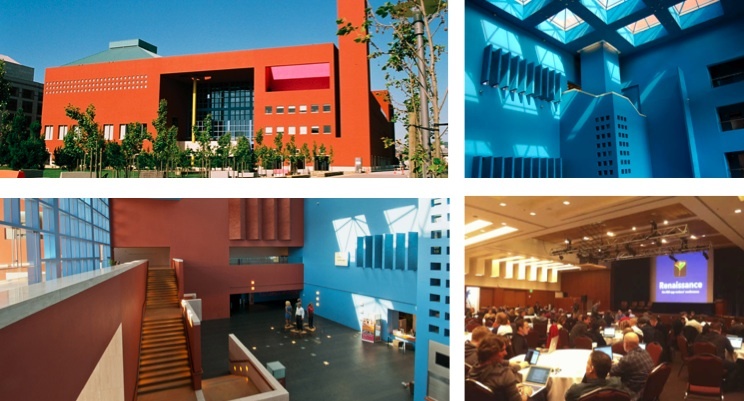 Participants will have the opportunity to meet innovative practitioners and Bay Area colleagues. Details can be found below and at this website: http://www.howkidslearn.org/. As a former practitioner and CNYD staff person, I was saddened to receive an announcement letter from Founder and Executive Director, Sue Eldredge, that the Community Network for Youth Development (CNYD) was closing its doors. To review the full announcement letter and where you can still access CNYD resources, click here. CNYD served as a true pioneer in promoting the ideas of youth development by creating youth program training methods and tools, and a large demonstration through a citywide initiative, the San Francisco Beacon Initiative. CNYD staff had a large influence on the early afterschool movement in California, producing the Youth Development Guide for Afterschool with CDE and for advocating and offering training for the first statewide high school afterschool initiative in the United States. CNYD also served as a training ground for some of the most influential trainers and consultants in the afterschool field. CNYD has generously allowed the Learning in Afterschool & Summer project, and other leading organizations, to post CNYD's publications and tools on their websites. You can access those by going to our research and literature page and scrolling down. Access the page by clicking here. You can join us in thanking CNYD for all its contributions to the field and your work by adding a message of appreciation to this group card by July 15, 2013. I contacted Sue Eldredge for responses to a few questions. Below is part 2 of a conversation with Sue Eldredge. Q: What do you believe is CNYD’s legacy? develop the CNYD's Youth Development Framework for Practice, associated measures of quality youth experience and one of the first research-based youth survey instruments. These tools were used in learning communities that engaged youth workers and organizational leaders in continuous improvement processes that led to some of the first examples of youth development supports and opportunities that were "measureable and moveable". This work was recognized in the National Academy of Science's study, Community Programs to Promote Youth Development, the definitive research effort that validated the youth development field's contributions to the healthy development of young people. This field blazing work has had long-lasting influence in the afterschool and out-of-school time fields and is evident in the widespread focus on program quality improvement. In the practice arena, CNYD was on the forefront of innovations in training and capacity-building. We were one of the first youth development intermediary organizations to shift from traditional training approaches to lead learning communities where practitioners knowledge was mined to promote peer exchange and learning. Some of our earliest professional development in the mid-1990's taught practitioners how to integrate assessment into practice so they could use the data that program leaders collected to understand if the new practices they were putting into action were making a difference for young people, These new approaches set a standard for the field of youth development capacity-building. In very practical terms, CNYD's talented staff and those we worked with helped shape the youth development field in the Bay Area that we know today. When our work began no one identified professionally as belonging to the youth development field. The community of practitioners that CNYD supported grew over time to become just that—a professional community that identified as a unified field, with a shared vision and values, common practices and standards of accountability. Most importantly, the youth development community came to identify as allies and partners working with young people to support them to grow up with optimism in the future, in communities where healthy relationships with adults and their peers are fostered, and with meaningful opportunities to contribute, to lead and build real skills. While CNYD is sometimes described as an important catalyst for this field development, it was the rich partnerships we were so fortunate to have at all levels that enabled all of these gains. Q: As you look ahead, what do you see as the major hurdles that the youth development field will face in the future? A: The youth development field's commitment to the holistic development of young people and the principles of partnership and respect for young people are deeply rooted. Skilled practitioners have always worked with young people from this place of understanding. In many ways we took great concern not to name the "youth development movement" as new, but rather an important shift in focus at a policy level. The real field breakthroughs were at a practice level. In order to keep the field alive and thriving we will need to continue to reframe and refresh key youth development principles and practices so that they are relevant to the current dialogue and focus for policymakers, funders and practitioners. You can see this demonstrated artfully in strands of the work that are being done at the Forum for Youth Investment, the Weichert Center for Youth Program Quality and in the Learning in Afterschool and Summer learning principles that are guiding afterschool work. There are some very promising new research understandings about how young people grow and learn, especially in the arena of neuroscience. Aligning this new understanding of research to practice to provide new and better ways to support young people's development seems very promising. Q: Do you want to share your future plans? A: After so many years of leading and growing CNYD, I am pausing to catch my breath and look with fresh eyes at new opportunities. I am intrigued by the potential that neuroscience research has to inform break-throughs in practice. I am loving having more relaxed time to spend with my nine year old daughter Gracie. And I am extremely thankful for my years leading CNYD and for the incredibly talented and committed staff and colleagues that surrounded me. It was a very unique point in time when so many forces and talented people were aligned to have influence. I have been extremely fortunate to have had my personal passions align with my professional commitments. Sue Eldredge was the founder and Executive Director of the Community Network for Youth Development (CNYD) for twenty years. CNYD’s work led to the infusion of youth development practice into policy, capacity-building and evaluation efforts in the Bay Area and in ever wider arenas. 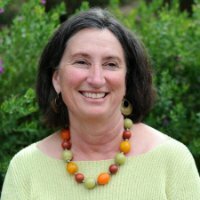 A graduate of Stanford University, Sue’s past experience includes work in the philanthropic world, research, and design and delivery of training and technical assistance systems for nonprofit, educational and governmental agencies. As a former practitioner and CNYD staff person, I was saddened to receive an announcement letter from Founder and Executive Director, Sue Eldredge, that the Community Network for Youth Development (CNYD) was closing its doors. CNYD served as a true pioneer in promoting the ideas of youth development by creating youth program training methods and tools, and a large demonstration through a citywide initiative, the San Francisco Beacon Initiative. CNYD staff had a large influence on the early afterschool movement in California, producing the Youth Development Guide for Afterschool with CDE and for advocating and offering training for the first statewide high school afterschool initiative in the United States. CNYD also served as a training ground for some of the most influential trainers and consultants in the afterschool field. I reached out to a few of my colleagues to get their response to CNYD's closing. You can also join us in thanking CNYD for all its contributions to the field and your work by adding a message of appreciation to this group card by July 15, 2013. Below are comments from national, state, and local leaders in the field followed by a few quotes from my recent conversation with Sue Eldredge. Q: Can you describe why and how CNYD was originally formed? A: In 1992, the Carnegie Foundation on Adolescent Development published A Matter of Time: Risk and Opportunity in the Non-School Hours, the result of five years of study highlighting the contributions of the largely invisible community-based youth serving sector. During the same period, I led a local community research project based at the Stanford Center for the Study of Children, Youth and Their Families, that highlighted the important ways grassroots community agencies throughout the Bay Area were responding to the unmet needs of young people outside of the schools. The study was shaped and guided by an advisory group of organizational leaders and youth workers from agencies doing some of the most exciting and groundbreaking work locally. We surveyed, interviewed and brought together over 1000 Bay Area practitioners to talk about their work and how it could be strengthened. One of the resounding recommendations was the need for an organization that could support this growing and almost invisible sector. 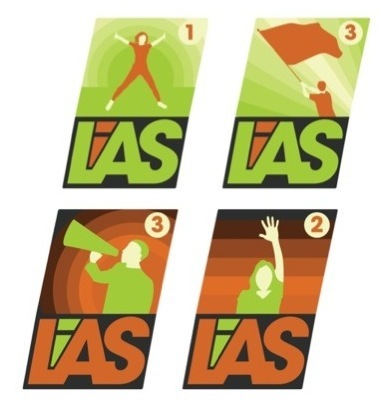 Our earliest efforts centered on educating the public, policymakers and funders about the growing youth development field and providing professional development opportunities for youth workers. We were greatly influenced by the leadership and early framing and language that Karen Pittman and her colleagues at the Center for Youth Development and Policy Research provided and connections to a handful of other colleagues that were just beginning to provide emerging intermediary support for the youth development field. Q: Can you say a few words about why CNYD is closing its doors? A: It was a difficult and long deliberated decision to close CNYD after so many years of contribution to the field and lasting impact. However, in the current climate, there is simply neither the sustained focus on youth development nor the resources necessary to work deeply in ways that take advantage of CNYD's unique capacities for longer lasting systems change. Organizations have lifecycles and the Board and I are felt that CNYD had amply fulfilled its mission to build and support the youth development field. There are many skilled organizations and individuals that continue to provide youth development training and we have made our sizable resources available so that they can be used by all that carry on the important work of youth development capacity building. Q: What do you believe are the major contributions that CNYD brought to the youth service field? In the early 1990's CNYD played an important role in galvanizing support for the growing youth development movement throughout the Bay Area, educating and mobilizing youth organization leaders, practitioners, policymakers and funders. 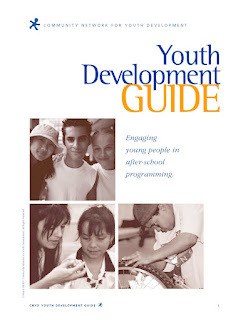 As widespread acceptance of a focus on positive development was cemented, CNYD was in the forefront nationally, developing training and assessment resources that supported the field to make breakthrough changes in practice, and move us from principles and ideals to measurable outcomes in our work with young people. CNYD's footprint is also very strong in the afterschool and out-of-school arenas. CNYD served as the intermediary for the first six years of the San Francisco Beacons Initiative, the first and largest California school-based project, demonstrating the importance of community-based agencies working in partnership with schools to create youth development-centered supports and services. Fifteen years later, the San Francisco Beacon Center continues to flourish as a long-term part of the fabric of the youth services system in San Francisco. Because of CNYD's Beacon leadership, we were called upon to work across California in the early years of federal and state funding for the expansion of school-based afterschool programs. CNYD played an important role in helping policymakers and practitioners understand why youth development practice was critical to the impact of afterschool programming and developed training resources and approaches that are still used today. We championed the expansion of high school afterschool programming and we were an important influence in broadening afterschool outcomes to include measures beyond academic learning.